This Microphone Speaker features built-in HD microphone, built-in children's songs, wireless Bluetooth... Get it for fun! The Microphone Speaker has the cute shape and perfec button for kids to sing and play with.It has 5 different types of sound, Robot, Girl, Boy, Echo, original for your selection. • ABS material, safe and non-toxic. • Cultivate children's musical talent. • Built-in HD Microphone - double magnetic high fidelity loudspeaker. • Built-in children's songs， Support TF Card,can add the songs you like! • Super Voice Changer - 5 Different Character Voices:Robot sound, Girl sound, Boy sound, Echo sound, Original sound. • Wireless Bluetooth function, can connect with all phone as a Speaker. • Through the button action, improve the coordination of the baby's hands and feet. • Smooth surface without burrs, feel comfortable not hurt hands. • Quick links: K3 Microphone Speaker for Kids. I bought this microphone for my little niece and she really loves it she always takes it everywhere with her. It comes with usb cable to charge the battery. It's easy to operate since the buttons are lined up. The collection of songs is plenty and kids love them. 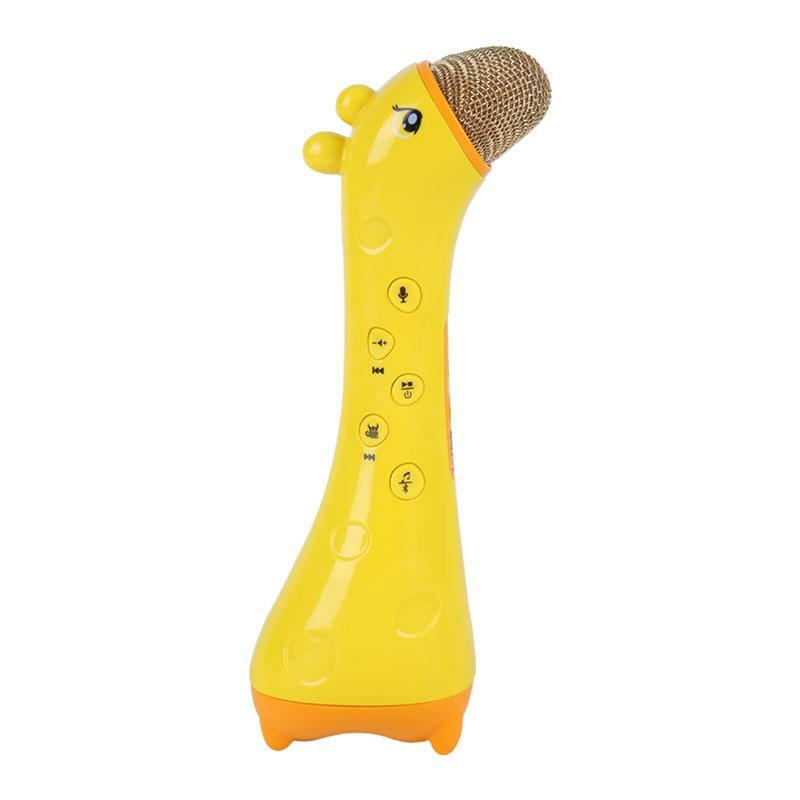 My niece and her friends also like the giraffe shape of this microphone. Overall I am satisfied with my purchase and would recommend it as well. No smell, the speaker's quality looks great.